Keeping true to Tamil Nadu’s pec­uliar political history, movie stars Kamalahaasan and Rajnikanth ann­ounced their entry into politics a while back. The void created by former chief minister J. Jayalalitha’s death and the virtual absence of her rival, the 94-year-old M. Karunanidhi of the DMK, perhaps pushed the stars to make their move now. Rajnikanth appears to have no plans to contest Lok Sabha elections next year and is yet to launch a party. 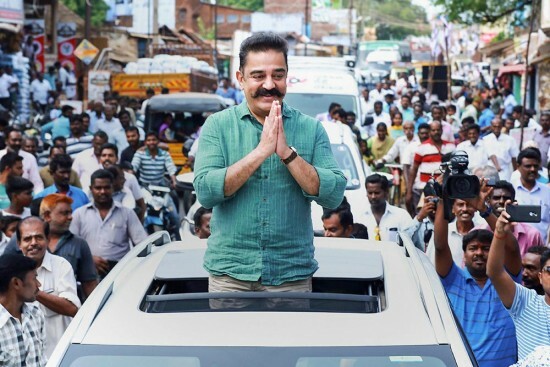 But Kamal, who launched his Makkal Needhi Maiam (People’s Justice Centre) last February, is trying to be a new force in the state, combining his intellect, popularity and charisma in an attempt to change the political culture of a state hit by waves of corruption and larger-than-life leaders. It seems that he wants to change everything—from a ‘Thalaivar’-oriented personality cult trend to the way elections are funded. He also wants to avoid a ­culture of freebies through a new-age model. The well-read Kamal sees himself as an outlier, like Spartacus, who is out to challenge the status quo with a new system in mind. You have been meeting everyone, from Stalin to H.D. Kumaraswamy in Karnataka. In politics, one is supposed to be adversarial. You seem to like a charm offensive. I have called myself ‘politiculturist’. The time has come when you can be adversarial but not with cudgels. We can agree to disagree, even openly and brazenly, but it doesn’t have to be discourteous. I was tagged as ‘Left-wing’ and when I went and met Mr Karunanidhi, they tagged me as Dravidian. When I went to mark 50 years of Murasoli (Tamil newspaper), I said something which surprised even the DMK cadres. I said this talk of annihilating Dravidian politics is not possible. 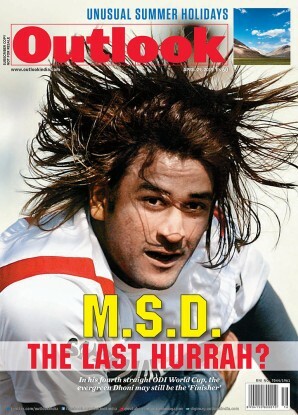 The reason: as long as the word Dravidian stays in the national anthem, it will stay. And anybody who wants to do politics with that can, but they need to be careful and understand that Dravidianism is pan-national. It is an anthropological truth. You have been speaking for the Dravidian movement since the Babri Masjid demolition days. People have forgotten all that. But there seem to be feudal elements even within Dravidian politics. I want to challenge the status quo. That is the first purpose, but that can’t be the only purpose of the party. The challenge is to make this vicious circle virtuous. It is not impossible. People say that you are a naive politician, be ready for compromise. Why are we talking about compromise when you have not even taken a stand? Even Gandhiji had to make compromises, ­no­­t­­­hing went his way entirely. You can take a stand but currently, irr­espective of which party it is, they are all populist in some ways. You, on the other hand, seem to be less populist, more popular. How do you avoid populism in the age of freebies? Is the Tamil Nadu of today ready for a post-freebie politics? It has to start somewhere and I am confident that it will start with us ­because we have clearly indicated from the beg­inning our sort of nom de guerre—that we will give you much more. Even in our first meeting, we said that you (voters) have been shortchanged and the money that you sold your vote for is not the right amount, so I will explain the mathematics to you. I spoke to the people. I asked: Where does the money come from? Have you ever questioned it? It is from your pocket. They keep some and give you some. So you have actually been sho­r­tchanged. They gave you Rs 5,000, you sold your democratic right for five years. Divide it into the number of days—it will not even amount to Rs 3 per day! The kind of argument you are putting forward is very middle class. Does it cut ice with people in rural areas? In that case the question arises, what are you giving the citizens as a leader or as a party? So even if your films are slightly fantastic, your politics is very realistic. (Laughter) Very realistic. I told them that I try it even in films, but my business constraints make me fly off the handle. Because you feel you are accountable to your producers? Yes. What I told them (people) is: Let’s do it together. If you think Gandhiji made Satyagraha happen on his own or Subhas Chandra Bose did everything on his own, without people’s participation, you’re mistaken. Only changing the leader is not going to bring you change. All those examples are from long ago, not the recent past. Yes, the reason for that is, if I would have said Arvind Kejriwal, you’d imagine only a clown cap on him, bec­ause the media has caricaturised him. It’s not fair. So people keep warning me—don’t talk in this jargon, they will fashion another clown cap for you. But I am not scared. I am going to be continuing on this path because people are now giving me the traction I need. I am not talking on Twitter anymore. I am not the Twitter warrior that they think I am because that’s old news. I am going into the villages, I do about ten villages a day. We try to do these four-day or three-day trips, twice a month. I go to these villages and talk whenever there is a crowd of more than a thousand. Otherwise, we just wave hands. So you don’t see yourself in the ‘Thalaivar’ (Leader) mode—one man who delivers everything. They will talk about that for sometime. I am 63 years old. As a functional leader, I think I will be useful for another ten or 12 years and that’s a very short gap. I am not just loooking at 2021. You will have to take it further, so I am trying to create leaders. Create leaders...that’s a very modern thought. We must do this, because otherwise, what happened to Jayalalitha will happen again. You will lead a headless trunk. If you were to describe yourself, what would you be: a centrist, leftist, or a liberal? From a ‘secularism’ point of view, you are a card-carrying liberal, from what we can see. I am more and more attracted by centrism. Even a country which doesn’t actually need it, like America, is going towards it. They are all leaning towards centrism now. A lot of American prof­essors are writing about centrism. Brazil is going through centrism. It is a myriad mix of countries with various problems All are moving towards centrism, inc­luding France. That way, you are intellectually keeping yourself abreast with global trends and not being one more Kazhagam. Your Vishwaroopam 2 is coming soon. And there was Indian in the past. Your screen persona is often right-wing. I would even equate some of the popularity that Modi has to some of your screen personas, which portray an angry person. What happens with the screen is that they enjoy it, but when they come out, they say that happens in films only. Then they go on with life. So there is no connection between your reel and real life. That’s why I say that the success of a vigilante old man is a pedestrian dream which will never come true. So that way, unlike say MGR whose onscreen persona reflected offscreen politics, yours does not? That (the MGR phenomena) is not as bizarre as this. It was not about changing the world. It was about changing the situation—where he gives money and helps people. People can connect with it. In Indian, it is a larger dream, almost Utopian in thought, if you look at it. But it kindles sub-conscious authoritarian fantasies, which might be reflecting in today’s politics. Yes it does. As a matter of fact, my fav­ourite film is Hey Ram (built around Partition and Gandhi’s assassination). It may not be as successful as Indian (dubbed in Hindi as Hindustani) but that doesn’t matter. I take pride in forecasting Indian politics. That appr­ehension (of a Leviathan figure), I had clearly stated in that film. I pitched it exactly, located like GPS. It starts with the RSS. Do your forthcoming films—Vishwaroopam 2 or Shabaash Naidu—have any political content? Yes. But they are not political films directly. There is another film that I had kept ready, just in case, but it got delayed because of various things. It is called Thalaivan Irukkindran, which means ‘There Is A Leader’. It’s not a political film, but it says everything that politics would say. I have taken it to another world because if you take it to politics, it will become either like Muhammad Bin Tughlaq (Cho Ramswamy’s satirical political play) or like Prakash Jha’s Rajneeti. I want to take it and use it as an allegory, but a serious allegory. It is more reflective than propagandist. It is not projected as propagandist. But it says that the idea of a leader could rise from any field. It is reflective of Spartacus. From gladiatorial training, he suddenly rises. A small rebellion turns into an anti-Rome one and he marches on. That is why I have used Macron (French president) as a more latter-day example. It is possible because people are giving traction. When I meet all these leaders, they keep asking out of courtesy or out of concern: ‘What have you done with your structure’. So they have their warnings to give on how dangerous politics is. Where does all that leave you in terms of coalition dynamics, given that everybody seems to want it now? I was talking to various people and they asked me what I would do. I said I can’t say that I will shake hands with everyone. The reason is that I am worried about the baggage they bring. Our uniqueness is that we are clean by virtue of our recent birth into politics. We would like to maintain that. This is what they like about us—the USP. We are also saying this loud and clear...the kind of crowds that we have been gathering: 40,000 or 60,000 people, they are not paid. They don’t take liquor or biryani to come. But you did share your stage with T.T.V. Dinakaran (corruption-convicted Sasikala’s nephew) who is a tainted figure, on Cauvery. So there is no leaving out people from your point of view. No. When building a nation, we have to call them. Though some of them have called me names. But that doesn’t matter, I am not having an alliance with them. It is a conference with them. See, in Kerala’s assembly, the Congress MP will walk across to the communist side and remind them of a point that they have forgotten because it is happening for Kerala. Yes. Why do we have to wait for a war to find that fraternal camaraderie and yet disagree. That is why I call it ‘politiculture’. That sounds more like Jayaprakash Narayan or Mahatma Gandhi. In that sense, it’s non-party politics at some level. But we are a party. We will take stances which will surprise them. Some of them refused. Mr Stalin refused to come for the conference. I said everybody is coming, please come. I went and invited him, but his alliance of nine parties apologetically said that they can’t come. What does that mean in terms of ground-level contests when it comes to the elections, say next year or whenever there are assembly elections? I am very clear about my secular status. That itself is going to put me in a particular camp. But ‘secular’ will not stay in rhetoric only, as it does in the DMK. In that sense, you fit in fairly well into the third front dynamics that seem to be shaping up right now. I can call you Tamil Nadu’s contribution to that front. You can, because we are already discussing that. That’s why I was seen in Bangalore. I was to go on the dais with all the chief ministers, but I thought I didn’t fit in there, I was invited, and there was a chair there. In that case, why didn’t you go,? I came from Thoothukudi (Tuticorin, scene of anti-Sterlite protests). I had to crash through—break barricades to reach. Mamataji (Bengal CM Mamata Banerjee) walked all the way, and there was a traffic jam. But I just stayed back. The thought was to meet these people. So, your staying away from the stage was just logistical? So you are clearly part of the Third Front/Left Front group. Are you ready in terms of resources? What about funding? Yes. Politicians are laughing because they think that all this can be done only with black money. I don’t think so. I said I am collecting from the people. They said, ‘Don’t you think, that’s a bizarre idea? I said, ‘When avaricious politicians empty the coffers, who do you think fills it ?’ Not the billionaires of India! It is the middle class and the lower middle class who fill the coffers. Instead of stealing and then asking them to fill the coffers. I am going to ask them directly and I am going to account for them. The biryani I ate will be accounted for. When you are part of the National Front, the other politicians or parties may not be that clean. In fact, many of them have charges and cases. Is that an issue for you? How do you deal with that? That is very important for us because an infection is an infection. So we are being very careful. Interestingly, these so-called leaders are not actually leaders, they are vote canvassers. Or vote contractors. But there are actual cadres who work for these men. They are keen. The disappointed in each party are already contacting me. And they have better exp­erience than me. Some of them have already started moving (towards me). The only thing is, without hurting them—keeping their individuality, I say let’s work together. I would rather prefer cadres (to parties). So all your film production and dist­ribution experience seems to be helping you. Yes, in a way yes, it is not far different from that. People make it think like: ‘Politics is very unpredictable’. So is life. How do you juggle all this with your Bigg Boss (TV reality show), Vishwaroopam 2 and all? My Vishwaroopam 2 has completed. The post-production is also done. I just have to do the promotion of the film. For Bigg Boss, I go only on the weekends and that is a fantastic thing. I would not lose it for anything because it involves talking to 5.2 crore people. The way I am handling it, I have changed the complexion of the show. Nobody else speaks of politics. I openly keep reminding viewers in a subliminal way about it. I constantly keep talking to them about that. Let the stain be only on the finger (that votes). Don’t let it spread on your hands. Next Story : Care For A Cow ­Safari In Jaipur?